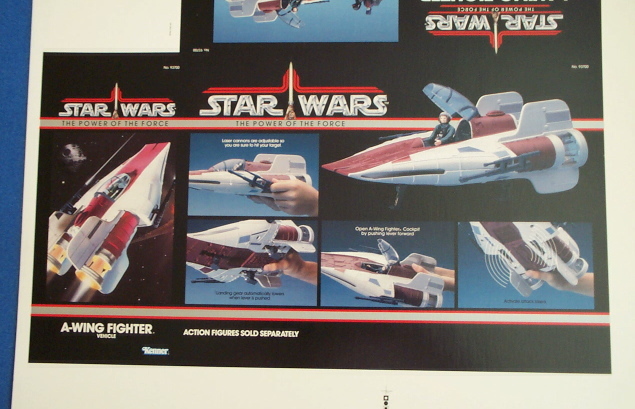 This is one of the most interesting packaging prototypes ever made by Kenner. 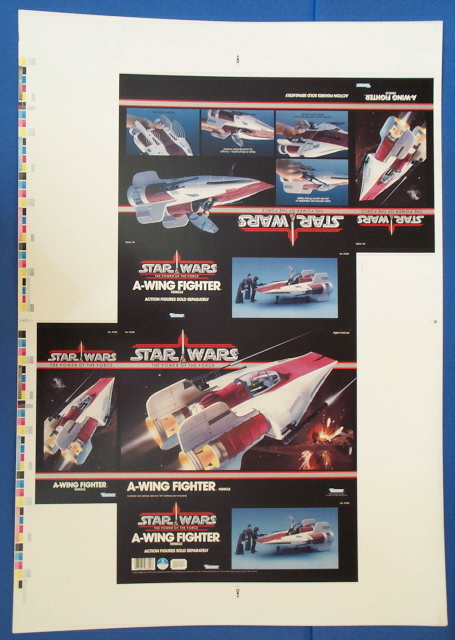 Apparently, Kenner considered releasing the A-Wing with the Power of the Force series and came very close to actually issuing this style of packaging since box proofs were generated. 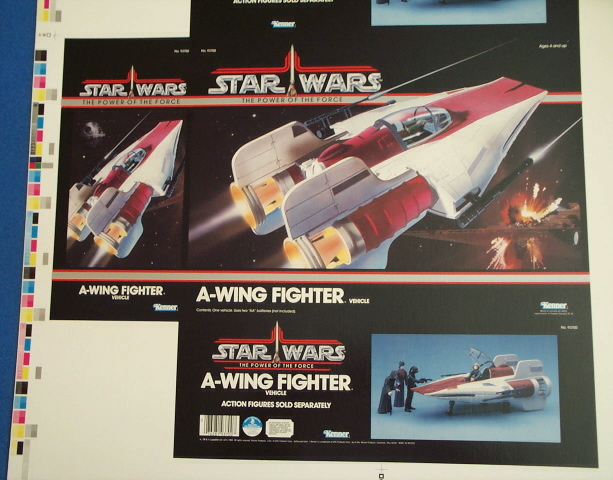 The A-Wing was never released in this packaging and was only released in a Droids series box using the same artwork, but a different logo. The closeup of the box faces shows the same artwork as the Droids A-Wing packaging. The A-Wing vehicle was even fitted into the Droids series plot in a contrived fashion as interest in the main movie line was waning and emphasis was shifted to the new cartoon series. This era of Kenner packaging was the pinacle for the Star Wars line. In addition to the elegant Star Wars logo, the back panel shows concise usage instructions. Kenner was also experimenting with using paintings of movie scenes instead of the photos of the actual toys along the main box face.